The A-36 Apache dive bomber went by the nicknames “Mustang” and “Invader.” It was basically a P-51 Mustang with the ability to dive. 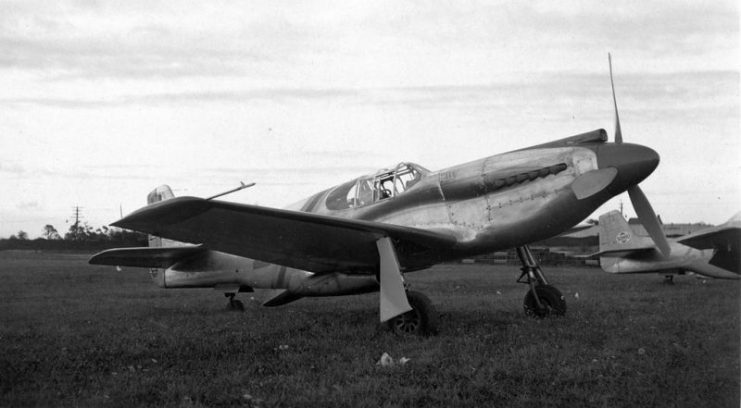 The A-36 could be differentiated from the P-51 by the rectangular, slatted dive brakes above and below its wings. Before its withdrawal from operational use in 1944, a total of 500 A-36 bombers served during World War II in the China-Burma-Indian theater, the Mediterranean, and North Africa. Sole RAF A-36A on demonstration flight showing dive brakes. 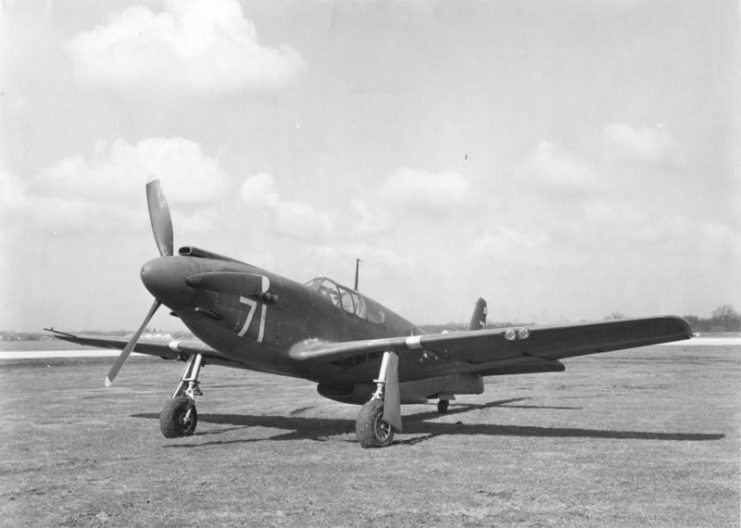 On 16 April 1942, the Fighter Project Officer of the USAAF, Benjamin S. Kelsey signed a contract for the production of the A-36A. 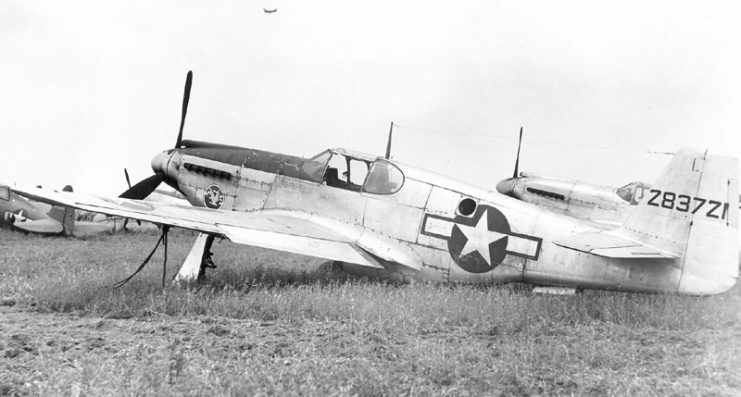 Its existence sprang from the requirement for a dive bomber similar to the P-51 Mustang in design, but with modifications such as bomb racks, dive brakes, and heavier-duty wings. 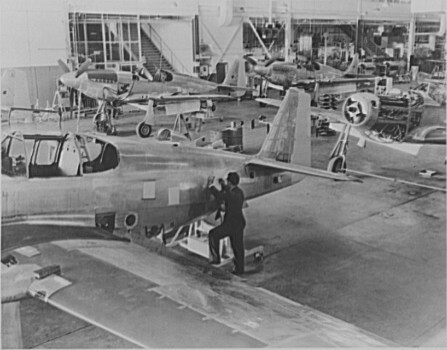 The first A-36A was produced in September 1942 at the NAA Inglewood plant, and in October it went through rapid flight testing. 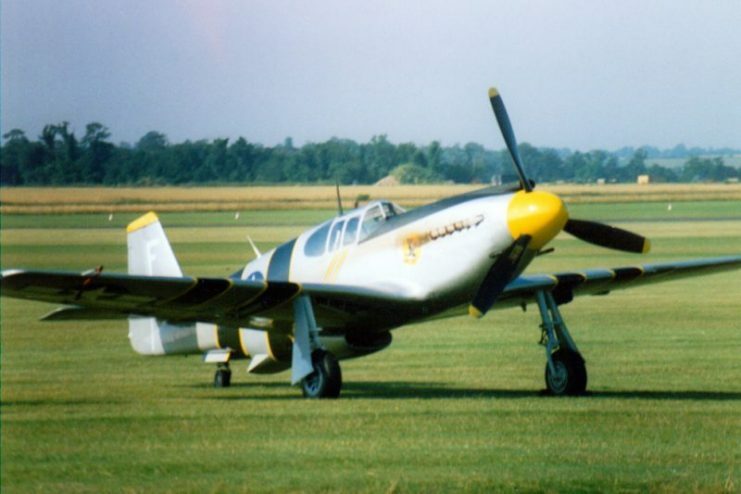 The A-36 Apache was a single-seat aircraft, powered by an Allison V-1710-87 liquid-cooled V12 engine which produced 1,325 horsepower. It weighed 10,000 pounds in full load, cruised at 250 mph and could reach 365 mph in bursts of speed, and had a range of 550 miles. 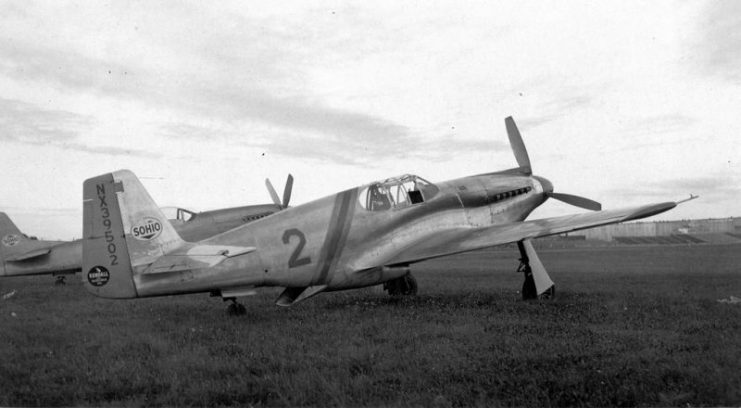 The A-36 proved to be an effective weapon, with improved stability in a dive owing to dive brakes in the wings. It could go into a vertical dive at 12,000 feet and, by deploying the dive brakes, reduce the dive speed to 390 mph. 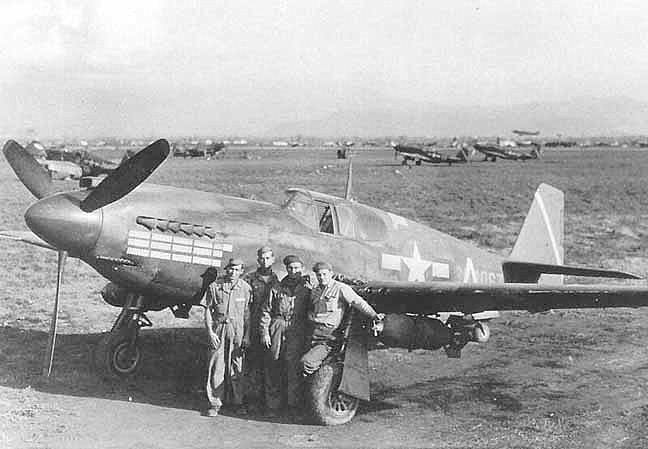 A-36A of the 86th Fighter Bomber Group (Dive) in Italy in 1944. 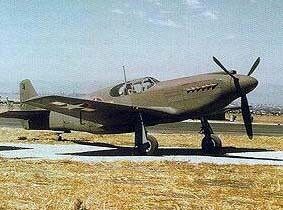 The A-36 had nose-mounted 12.7mm machine guns, along with a wing armament of four 12.7 caliber machine guns. It could carry up to 1,000 pounds of bombs on two under-wing hard points. On 6 June 1943, A-36 Apaches flew in combat operations against the Island of Pantelleria in Italy. After the island fell to the Allied attack, it became the home base for two A-36 Apache units during the Allied invasion of Sicily. 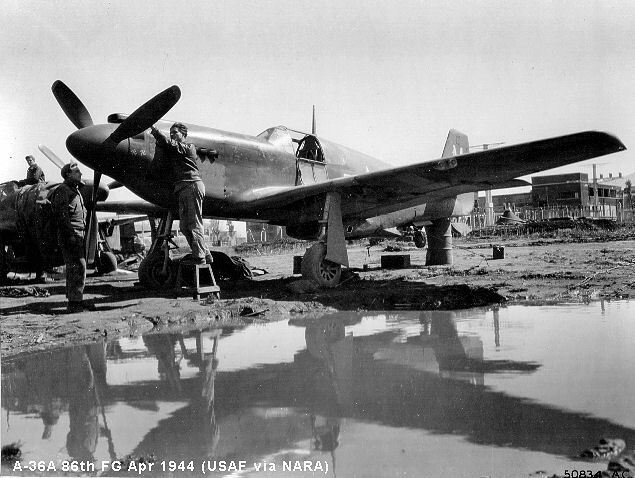 A-36 Apaches also served in China-Burma-India Theater with the 311th Fighter-Bomber Group. The 311th arrived in Dinjan, India in the summer of 1943. 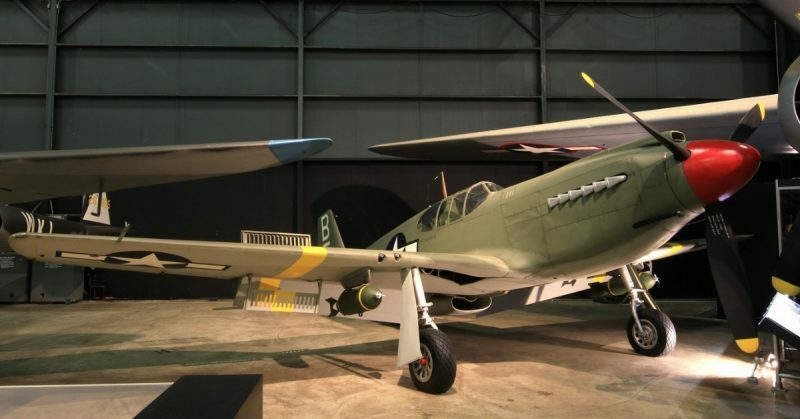 Tasked with dive bombing, fighter, and reconnaissance missions, the A-36A was outperformed by the lightly armed Japanese Nakajima Ki-43 “Oscar,” which could outmaneuver the A-36A at all altitudes. Sole RAF A-36A on demonstration flight, front, right 3 4 view. 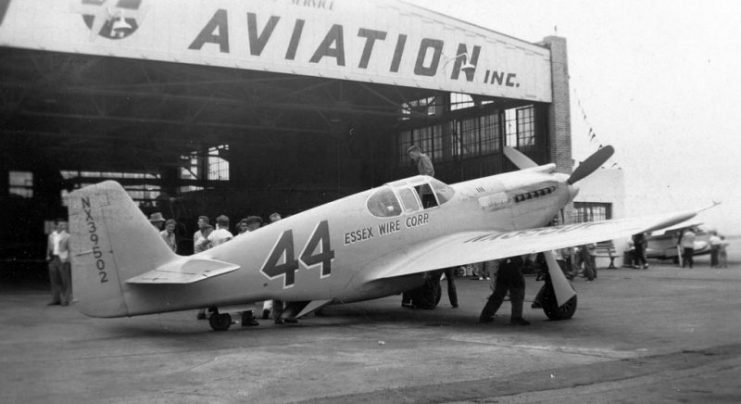 The A-36 fought at a disadvantage–its engines performed below their peak capabilities when flown at the excessively high altitudes required for conducting long-range missions. 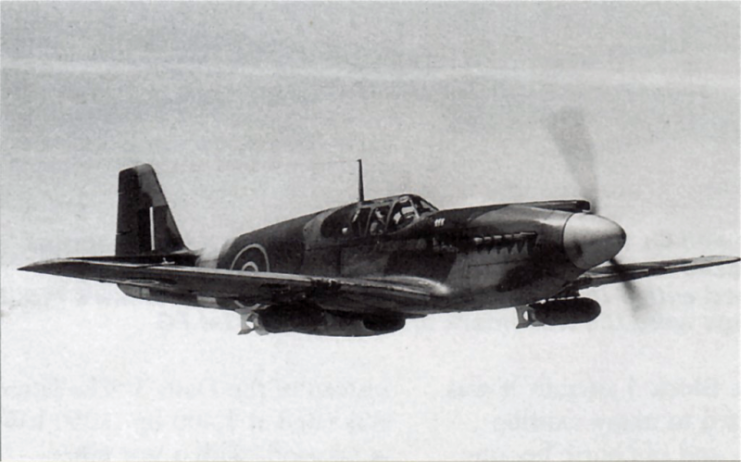 Sole RAF A-36A on demonstration flight showing 500 lb bombs. 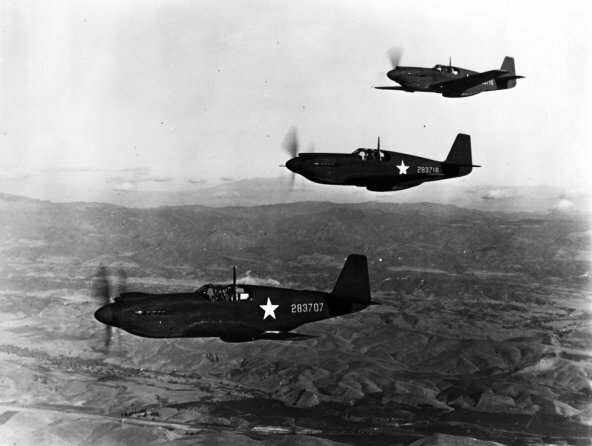 The A-36s recorded about 84 aerial victories and produced one ace. However, as the war grew more intense, the A-36 also suffered heavy losses. About 177 of them fell to enemy action. 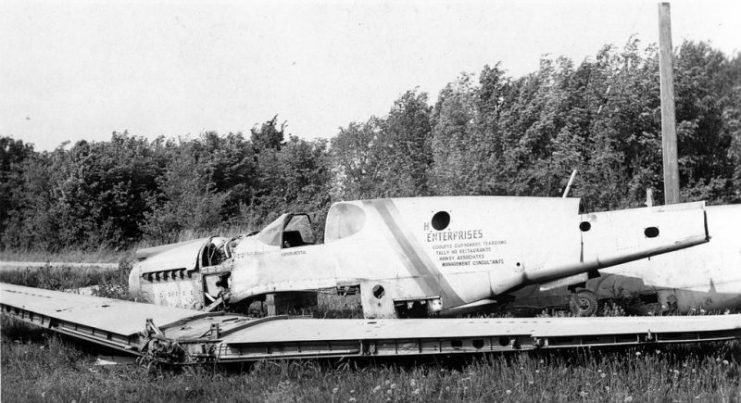 By 1945, the A-36 was retired and the obsolete types were scrapped. 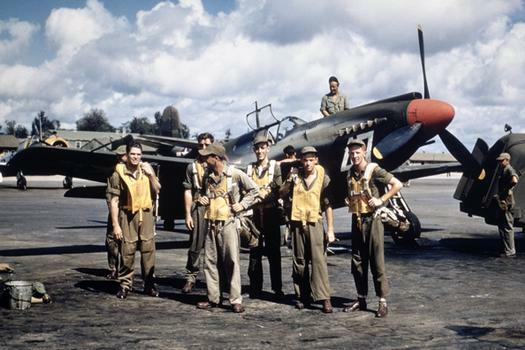 USAAF pilots of a training unit in Louisiana (USA) in front of a North American P-51A Mustang fighter in 1943. 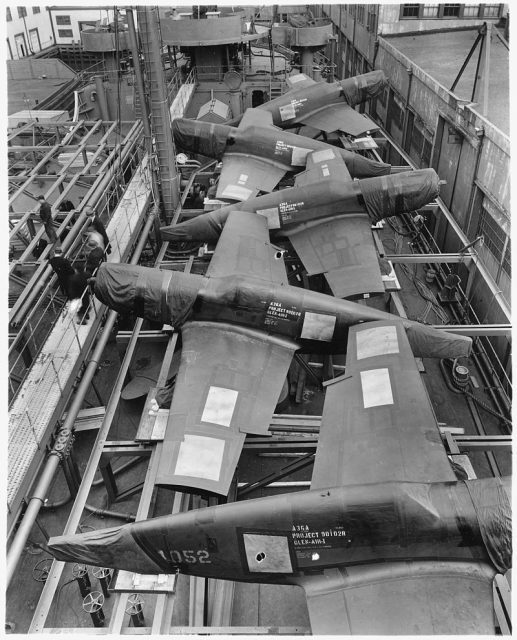 Production of A-36A fighter planes at North American Aviation at Inglewood, California (USA), in October 1942.